Fractora now available in Mississauga! Body and Soul Day Spa in Mississauga is pleased to now offer our clients an amazing treatment option to achieve tighter and firmer skin – including the reduction of stubborn stretch marks! 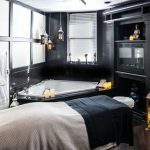 As the leading med and day spa in Streetsville – Mississauga offering this treatment, along with our unparallel reputation & care, we are proud to offer both men and women this renowned, advanced and highly successful skin-firming option. Fractora Firm® is an excellent treatment option for improving your skin’s tone and texture, in a non-surgical way. You are now able to non-surgically treat difficult areas, such as pregnancy tummy, loose neck skin, stretched skin on outer arms and other areas that require skin tightening. It is completely normal for your skin to begin to lose its elasticity and wrinkle as we start aging, but with Fractora Firm, this natural occurrence can be prevented, and treated at any stage. It is a great procedure for those who want to increase the collagen and elastin production process in an attempt to achieve firmer skin. 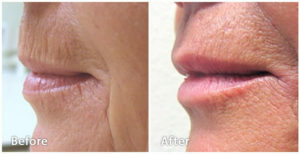 It is virtually impossible to achieve this type of non-surgical skin tightening in any other way, making it no wonder why Body and Soul stands by this treatment – and their excellent team of medical estheticians. This non-invasive method to skin-tightening provides a natural approach to improving skin tone, smoothing out any texture differences and further improving the appearance of fine lines and wrinkles. Fractora Firm uses a type of technology that targets deep into the epidermis for a safe and effective treatment that is virtually painless with a quick recovery process. The treatment uses radio-frequency, to create optimal skin pulsations in the deep layers of our skin. This frequency stimulates the creation of collagen and contracts the many different layers of your skin for a more youthful appearance and texture. Fractora Firm has the capacity to treat sagging skin on our entire face area or a specific area like the forehead, crows feet, eyelids, nasolabial folds, smile lines and neck. Treatments on the body also include the arms, abs/tummy area, along with other surrounding areas. Fractora Firm can also be combined with other laser treatments, fillers and injections, which can be further discussed during your consultation. After 6 to 8 weeks of treatment, an improvement in the skin will be noted, allowing for a smoother, tighter, youthful and more clearer look. Once a full Fractora course is completed a maintenance treatment is recommended every 3 months in an attempt to maintain results. Our skilled professionals here Body and Soul Med and Day Spa in Mississauga welcome you to try this new innovation in the area of skin rejuvenation. Fractora firm is the leading skin tightening option, and we are so thrilled to now offer this to all our clients in the Mississauga area.